The jury has issued a verdict in Zenimax’s lawsuit against Oculus for allegedly stealing the technology that now powers the Oculus Rift. Zenimax had sued Oculus, its founder Palmer Luckey, and its CEO Brendan Iribe, alleging that when Zenimax’s former star employee John Carmack left Zenimax to join Oculus as CTO, he had taken Zenimax’s trade secrets that Oculus used to create the Oculus Rift. The jury found in favor of Zenimax on its claims for violation of a nondisclosure agreement, for copyright infringement, and for false designation (i.e. lying about the origin or maker of its products). It awarded Zenimax $500 million for these claims. On the other hand, the jury found in favor of Oculus with respect to Zenimax’s claim of alleged misappropriation of trade secrets. Zenith had sought $4 billion ($2 billion in compensatory damages plus $2 billion in punitive damages). 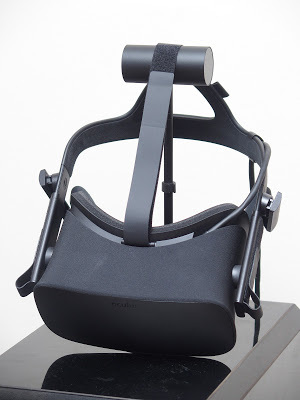 Oculus said it would appeal, which is standard practice for any verdict of this magnitude, while also stating that it was vindicated by the jury’s verdict as to the trade secret claim. Obviously, the $500 million award will have a significant impact on Oculus but given Facebook’s tremendous resources, I am supposing the award is not likely to have fatal consequences for Oculus, much less the VR industry.